A college located in Northern Ontario was faced with the challenge of expanding their network to a new building just off campus about 5 kms in town. With a recent Voice over IP (VoIP) implementation the new building would require sufficient bandwidth for both data and voice. Because of their remote location fibre was not a feasible option. The college decided to go with multiple T1 connections at a monthly cost of $2,500. When SkyNet first contacted the college, the CIO was familiar with wireless LAN extensions as it was something that they had looked at 4 years ago. Based on the previous technology, the college’s concerns were lack of adequate bandwidth and performance during the winter season. Non-optical line of sight also presented another challenge. SkyNet was able to show the college that a wireless link to the new building from campus was achievable. And with current RF technology a link achieving more than 30 Mbps would be attainable using a solution that is virtually impervious to rain fade. SkyNet was able to put together a strong business case to the college that would not only provide them a solution with greater bandwidth than they were currently getting, a more reliable solution (99.999% uptime) than their T1’s, and an ROI in only 10 months. SkyNet was able to implement the solution in less than 3 days. The college was getting a true 30 Mbps and never saw any degradation during their harsh Canadian winter. The ROI was delivered in 10 months eliminating monthly recurring fee’s for the college saving them $30K/year after the first 10 months compared to their previous solution. “I have to admit that I was skeptical at first because it all sounded too good to be true. 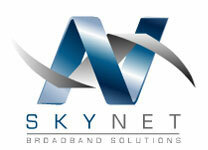 But SkyNet delivered exactly what they promised and exceeded our expectations with their exceptional service. During the implementation we saw no downtime to our network and the engineers did an excellent job in ensuring that our technical team received the proper knowledge transfer. My only regret is that we didn’t do this sooner!” CIO of college.